After the Bureau of Labor Statistics released its Consumer Price Index for March this morning, including a hotter-than-expected (or feared) reading for the core Consumer Price Index – more on that in a moment – several other inflation gauges were released, all based on various ways of analyzing the data pile of the BLS. 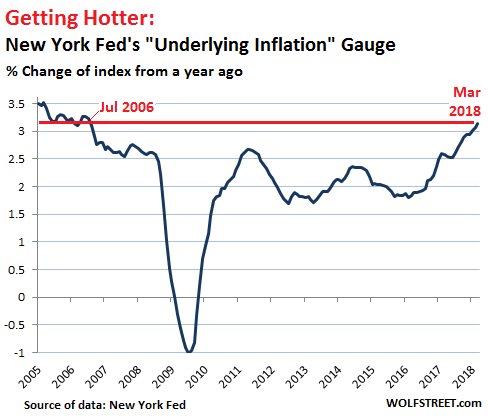 This includes the New York Fed’s “Underlying Inflation Gauge,” which hit the highest level since July 2006. 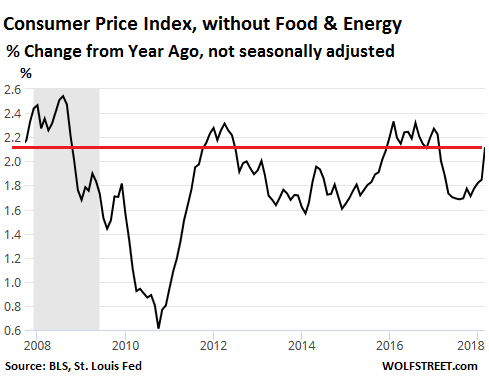 Consumer price inflation is in the eye of the beholder. Every household has its own inflation rate, which varies with what their lives look like: medical expenses, kids in college, renting in a city where rents are soaring, etc. No inflation gauge does justice to that particular reality. But they all show nationwide if watered-down trends. 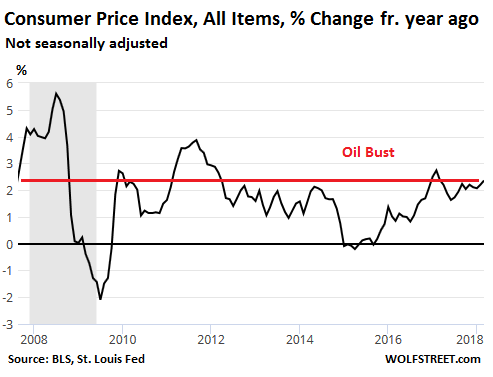 The “prices-only” UIG is based on 242 disaggregated price series of the CPI and the Producer Price Index (PPI), import and export prices, and the Dallas Fed’s “Trimmed-Mean 12-month PCE” inflation. This is comparable to a “core” inflation measure. 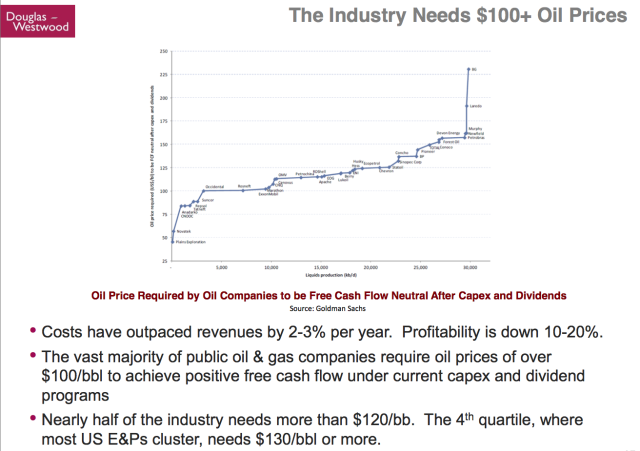 The “full data set” UIG incorporates all the data of the “prices-only” UIG plus 103 macroeconomic and financial variables. The sub-index for “services less energy” – the biggie, with a relative importance of 59% of CPI – rose 2.9% over the past 12 months. It is comprised mostly of various housing costs, including rent and owners’ equivalent of rent, both of which rose 3.3% year-over-year. Transportation services jumped 4.1%. Medical care services rose 2.1%, with hospital services jumping 5.2%! The Fed looks at a broad range of inflation data. But its target of 2% is based on the core PCE inflation index, which runs roughly in parallel but usually lower than CPI. So with this CPI release, the Fed is getting more data to support faster rate increases. 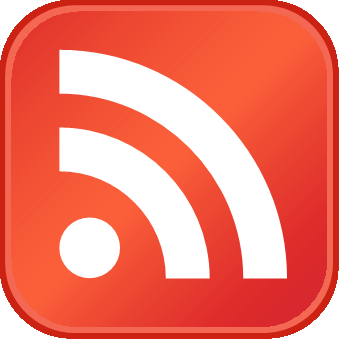 Several participants noted that the 12-month PCE price inflation rate would likely shift upward when the March data are released because the effects of the outsized decline in the prices of cell phone service plans in March of last year will drop out of that calculation. So 12-month core PCE inflation for March could spike near or above the Fed’s target? 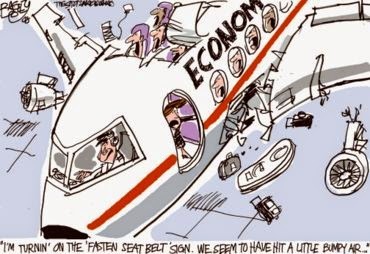 Is that what the Fed is warning about? Either way, the Fed is getting “gradually,” as it always says these days, more serious.